Beautiful sea side Lakes Entrance, the perfect destination for Australia's newest iconic mountain bike event, the LAKES ENTRANCE 100K EPIC. Date is SATURDAY OCTOBER 4 2014. 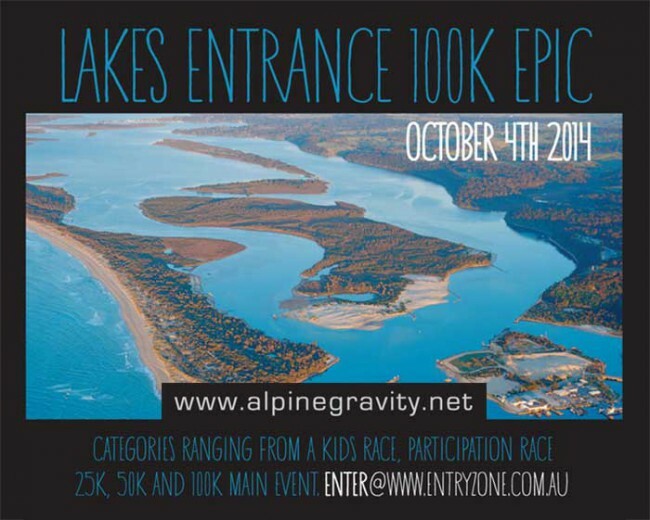 We are stoked to announce that after many months of planning and discussion with the East Gippsland Shire, East Gippsland Cycle Tourism Commitee, and Gary from Riviera Cycles, the inaugural Lakes Entrance 100k Epic will not just be an event, it will truly be an experience! After many meetings and venue/course inspections, Lakes Entrance will provide our event with an amazing town, facilities, trails, and fantastic scenery for both riders and spectators alike, that will not dissapoint! With a kids race, 25k, 50k or 100k options put it on your calendar. Entries are open at www.entryzone.com.au.